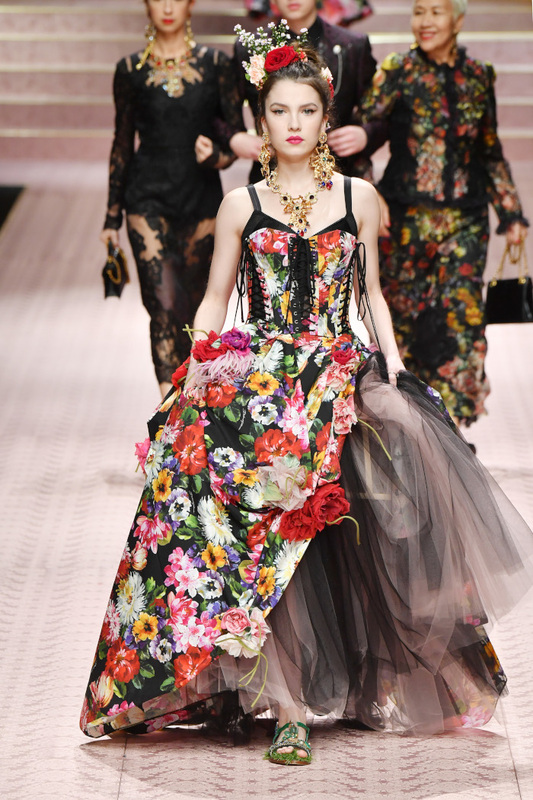 Dolce & Gabbana’s shows are definitely the highlight of every MFW. From supermodels to celebrities walking the runway dressed in the brand’s sublime designs, there is a little bit of everything. Domenico and Stefano are die-hard maximalists and we can’t get enough of their romantic aesthetic. This floral corset gown complimented with stunning jewelry pieces is out of this world! We are already looking for an event to steal this look from head to toe.